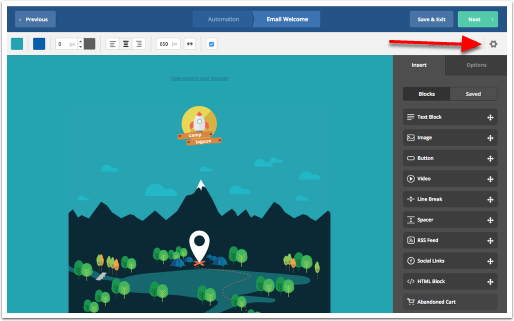 Personalizing a subject line with a contact's name or other information collected in a contact field can increase engagement with your communications. 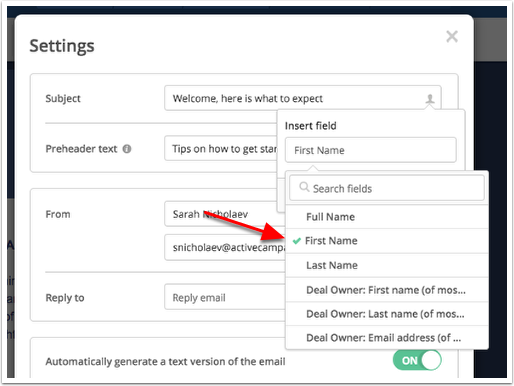 When a contact receives your email, they will see their own name populated. To learn more about personalization tags and to view a list of standard tags, click here. 1. From the campaign or automation email, click the gear icon. 2. Click the personalization icon. 3. 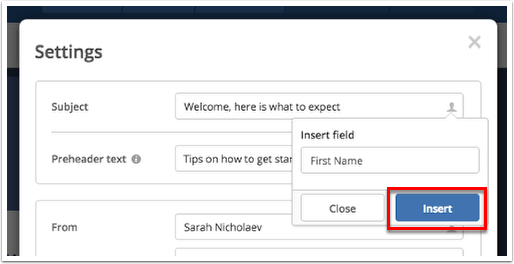 Click the "Insert Field" dropdown and click the field you wish to insert. In this example, we want to insert the first name personalization tag. 5. Click the "Insert" button. 6. The tag will automatically be added to the end of the subject line. Click the "Close" button. If you want to keep the tag at the end of your subject line, you'll want to add a space between the last word and the tag. 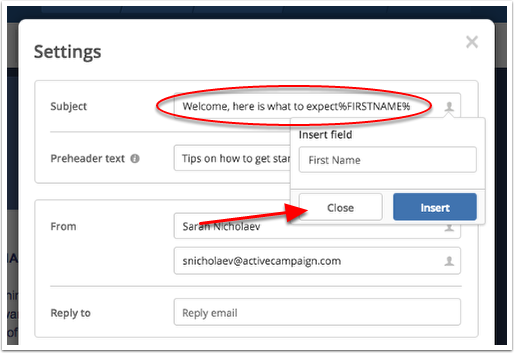 How do I insert personalization tags into my campaigns? 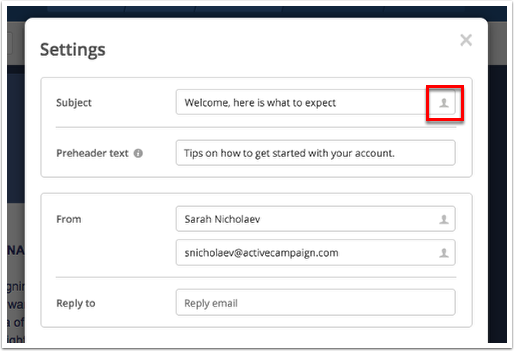 How do I preview personalization tags in my campaigns?